Over the past two years we have been working with a private client to design them a new home, adjacent to their existing rural property. 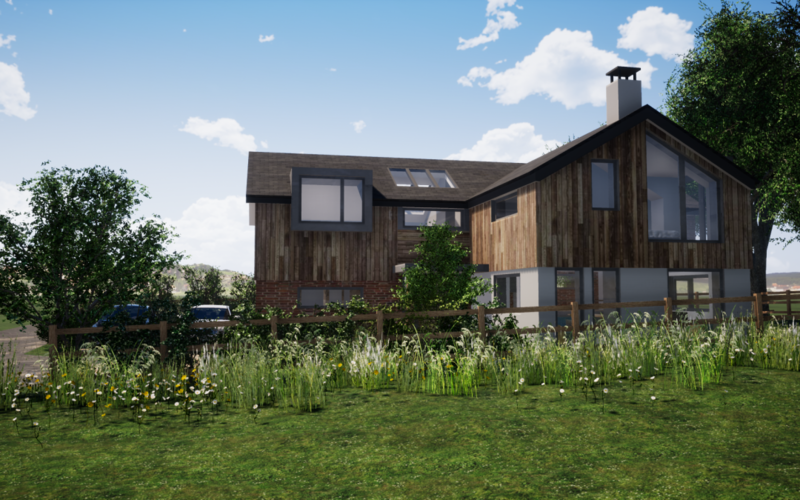 The narrow site and close by large mature oak trees were challenging constraints, but we obtained Planning permission in 2018 to build a three-bedroom contemporary house on the plot which will enjoy spectacular countryside views. The design utilises the differences in ground level to achieve a two-storey dwelling with generous headroom, whilst matching roof ridge lines of the surrounding bungalows. Technical design is underway with an anticipated start on site in autumn 2019.